Are you an entrepreneur? A Christian business owner? Do you feel called to minister outside the church? Do you believe that God has called you to be wealthy so that you can impact society? Do you want to change the world that you live in? The Cracking the Apostolic and Prophetic Code was written for YOU! 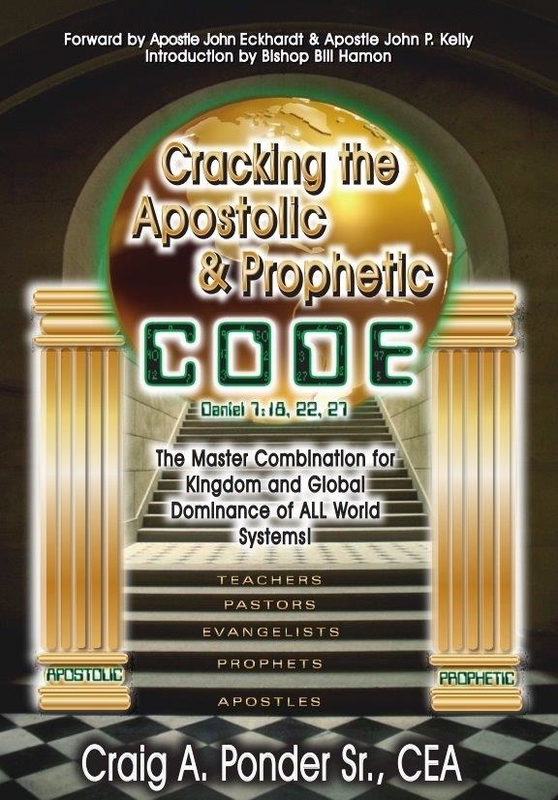 When I started reading the book, “Cracking the Apostolic & Prophetic Code”, I could not put it down. It gave me more insight about the necessary and pro-active roles of the “dynamic duo”, the Apostle and the Prophet in the 21st Century. The book dispels a very common misnomer, “that Apostles and Prophets were more prominent and active in the Old Testament (Prophets) and the New Testament (Apostles), than in the Modern Day Church.” The Book not only puts that misnomer “to flight”, but it also expands the role of Apostle and the Prophet beyond the four walls of the Church. “Cracking the Apostolic & Prophetic Code” reveals the significant, and essential roles of both the Apostolic and Prophetic and their “key” presence in the Marketplace and the Workplace in the 21st Century. As a College Professor, Business Professional, Entrepreneur and Public Speaker, I am actively engaged in the practice of instructing, coaching, and training candidates to enter or re-enter the Marketplace and Workplace with more competitive skills, more confidence, energy, and experience. The book further confirmed my belief that the Apostolic and Prophetic influence and gifts are needed to effectively prepare 21st Century candidates and leaders for the Marketplace and the Workplace. “Cracking the Apostolic & Prophetic Code” infused me with a greater appreciation, love and passion for my God-given talents and I have been motivated seek areas where I can deliver more excellent products in my fields. “Cracking the Apostolic & Prophetic Code” is a MUST read for 21st Century leaders in the Church, Marketplace, and Workplace. 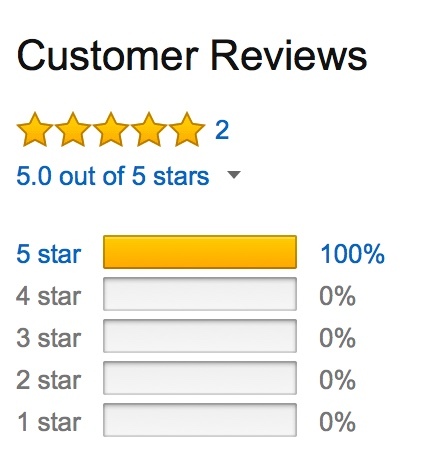 I have already purchased and given away a few copies prior to this review. It is also an excellent “group study” manual. I highly recommend it. It will broaden your perspective about the functionality of the Apostolic and Prophetic talents and gifts beyond the four walls of the church. You will certainly be enhanced with a greater understanding and appreciation of the Apostolic and the Prophetic components of the Five-Fold Gifts. While the Apostle, the Prophet, the Pastor, the Teacher, and the Evangelist are all essential components in the 21st Century, the book certainly increased my awareness and understanding of the unique and indispensable functions of the Apostolic and Prophetic in this day and time. To date, I have actually purchased three (3) copies of Apostle Craig A. Ponder’s book, Cracking the Apostolic and Prophetic Code. The first purchased copy was used and obtained through AMAZON.com as well. I initially stumbled across this book while surfing the web and patiently waiting on the LORD to direct me on what HE wanted me to read next. Still learning and growing in the ways of the LORD to include how HE has been using me, I was desperately seeking some understanding to what I was hearing. Reading this book has given me such great insight, REVELATION and confirmation. Amazingly, I have encountered church leaders who, unfortunately, operate from a worldly behavior under a great influence of religiosity and tradition. To the point of them attempting to put me in a box which has caused me to doubt and second guess my calling, purpose and God’s appointed positioning in HIS KINGDOM. I am no longer waiting on or counting on man’s approval to release me for preaching God’s Word. That authority was granted to me long before I was conceived in my mother’s womb. God ordained me and gifted me for HIS Glory to carry-out HIS MISSION, AGENDA and PURPOSE. Reading this book has made that abundantly clear for me! Not my will OR anyone else’s for my life, but HIS WILL! This book has given me tremendous help in unlocking pieces to a puzzle concerning me. The most important part of unlearning to relearn is shifting my focus to tap into the supernatural. Apostle Ponder mentions, “throughout history, restoration always causes reformation.” I am praying to let go of the pain and confusion of being hindered by those in ministry who were not willing to acknowledge what God was doing in my life to be restored to transform and reform to be repositioned on the road of my destiny (pages 82-86). In retrospect of what I have encountered and endured (trials and tribulations), this book offers an understanding of my territory as it relates to the Eclessia (the church), the marketplace and the work place. Now, I must work on moving forward (Matthew 10:14) and apply a number of the principles or points as referenced by Apostle Ponder. I plan to keep this book forever near to reread and obtain more REVELATION. Finding inspiration through the reading of this book has given me a passion for attempting to encourage others to read it. In fact, the last two (2) books were actually purchased as gifts for others. Should you decide to purchase this book, it provides valuable teaching. Many blessings!